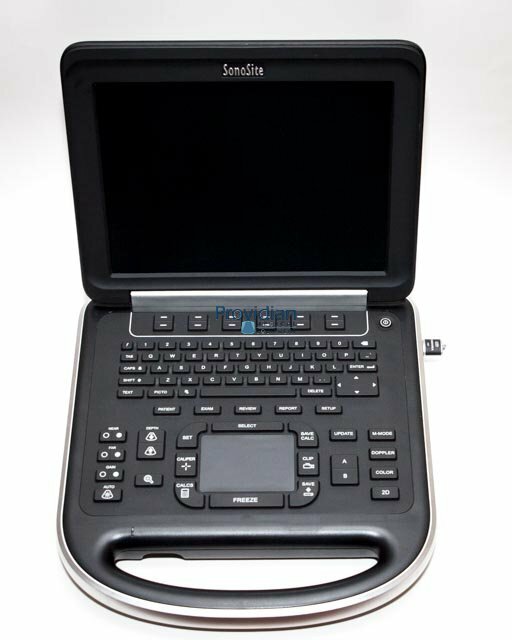 The SonoSite Edge portable ultrasound is a powerful, widely used system with a revamped interface, durable construction, and high-end imaging technologies. Weighing just 8.5 pounds, making it ideal for point-of-care and emergency situations, the SonoSite Edge includes a 12.1-inch LCD monitor and image enhancement algorithms for increased image quality, speed, and ease-of-use. When bringing the SonoSite Edge for point-of-care situations, this ultrasound is ruggedly durable with a solid aluminum core and magnesium shell. Compared to its predecessors, such as the SonoSite M-Turbo, MicroMaxx, and Titan ultrasounds, the SonoSite Edge portable ultrasound provides a different look, different feel, and better overall viewing area and user experience. SonoSite may have revamped the user interface, but it did not forget its target market. The Edge improved on its unparalleled durability and ease-of-use, while creating a better overall user experience. It has a very high-tech look and it looks, feels, and gives an overall much-improved imaging experience for the user. Used SonoSite systems are rock-solid and if your budget fits the price of the SonoSite Edge, this is one you should consider to buy.